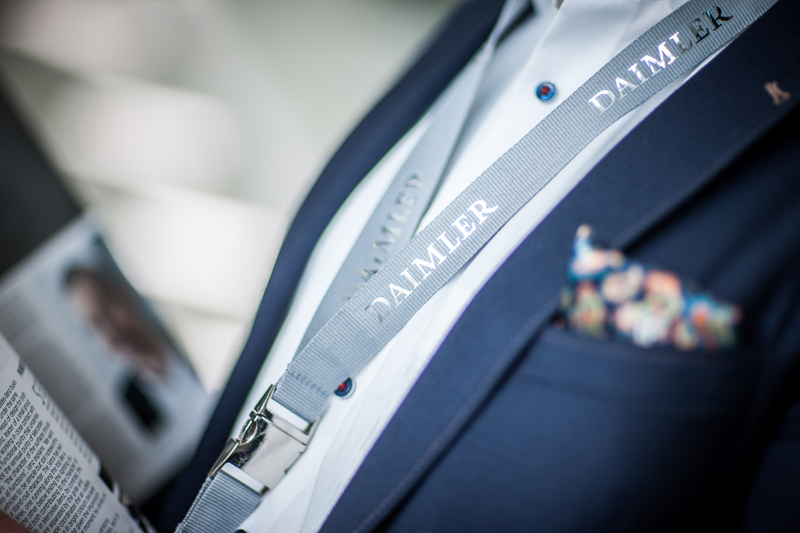 Daimler understands branding to be the use of its corporate name and its corporate logotype in the visual apperance of the brand, both internally and externally. The use of an corporate brand in order to endorse a sub-brand. The degree of endorsement varies from... in collaboration with the product brands. 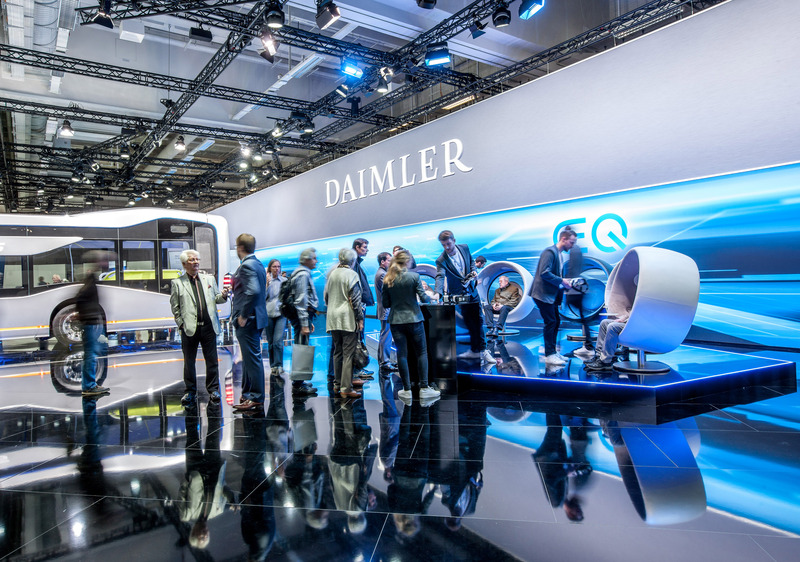 To build on and secure the brand's strength in the long term, Daimler maintains a consistent media presence wherever possible: on the Internet, at events (e.g. 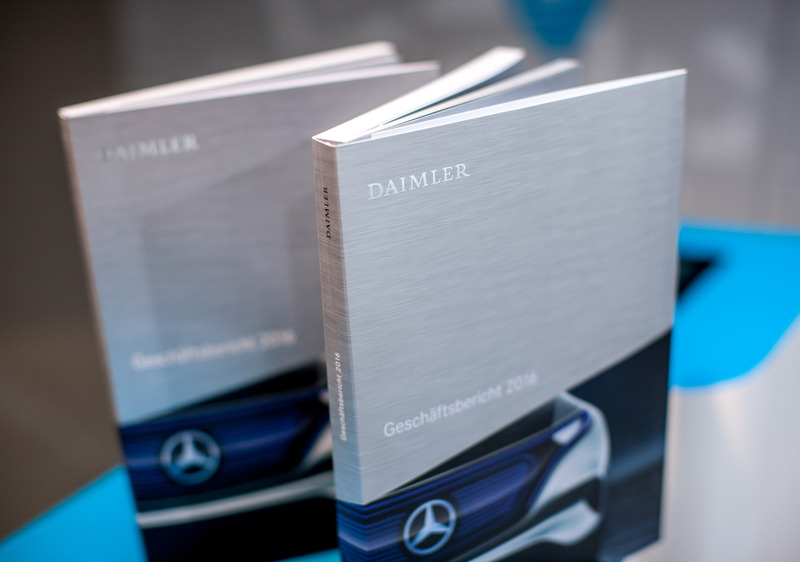 Annual General Meeting) and trade shows, in publications and audiovisual media (e.g. annual report, quarterly reports, brochures, videos), on information signs, in image advertisements, etc. 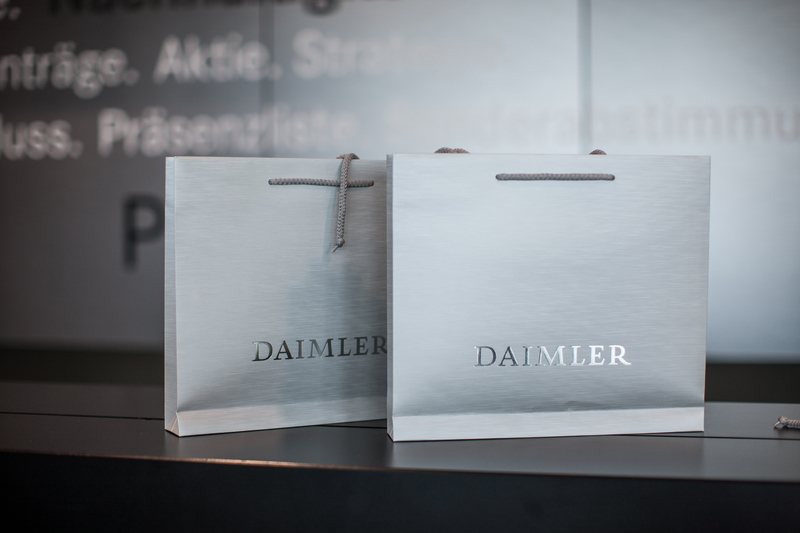 Frequent contact with the corporate brand and continuity in branding makes it easier for the target groups to experience the Daimler brand. The unmistakable profile of a corporate, brand, product or service personality. creates trust in the future viability of the company, supports the sales of the product brands and upholds the attractiveness of the company for highly qualified employees. Consistently implemented branding in communication also has a positive effect on employee identification and motivation. 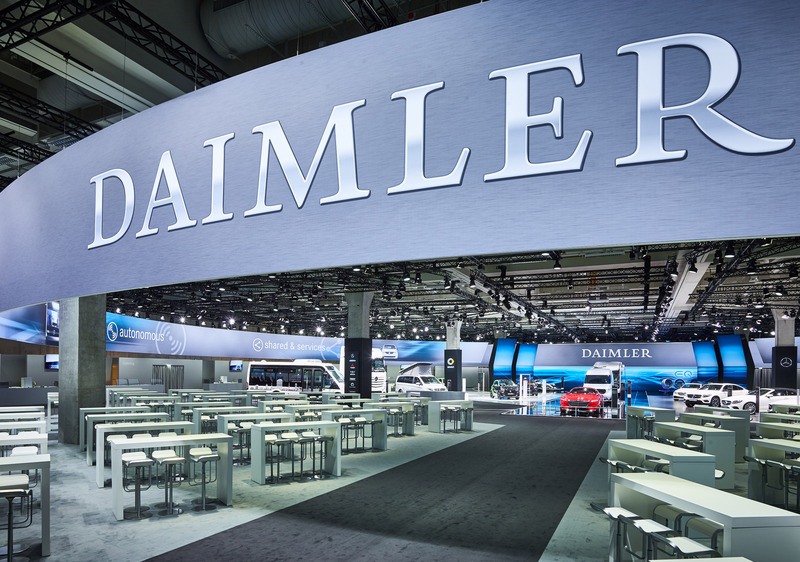 What is the purpose of Daimler's Corporate Design?